Want To Cook Just Like Monami Frost? Herbivore is currently the only retailer in the U.S. carrying the Monami Frost cookbook. Vegan Home Cooking With Monami Frost is available for purchase on our website or in the store for $20. If you don't already know, Monami Frost is a Latvian vegan and straightedge model, mother, and fashion designer! She is famous for her YouTube channel, where she posts video blogs about her vegan family and their travels, vegan cooking tutorials, makeup tutorials, tattoo q&a's, and more! In her own words, Frost's YouTube videos are an attempt to give her fans "a little peak in my extraordinary, yet extremely ordinary life." Her Instagram account (@monamifrost) shows her fashion, makeup looks, tattoos, and personal anecdotes, as well as links to her clothing line, Frost Street Wear(@froststreetwear). Oh, did we mention she's also a vegan cookbook author? Yeah. She's basically a vegan badass. Monami Frost is proof that the beauty of veganism is that there are vegans of all stripes, from all different walks of life! She is actively trying to smash "the stereotypes of tattooed people/parents" and prove that young mothers can be successful and caring parents. Frost is also a positive role model for veganism by showing others it is healthy and morally fulfilling (you can hear her tell her vegan story here). 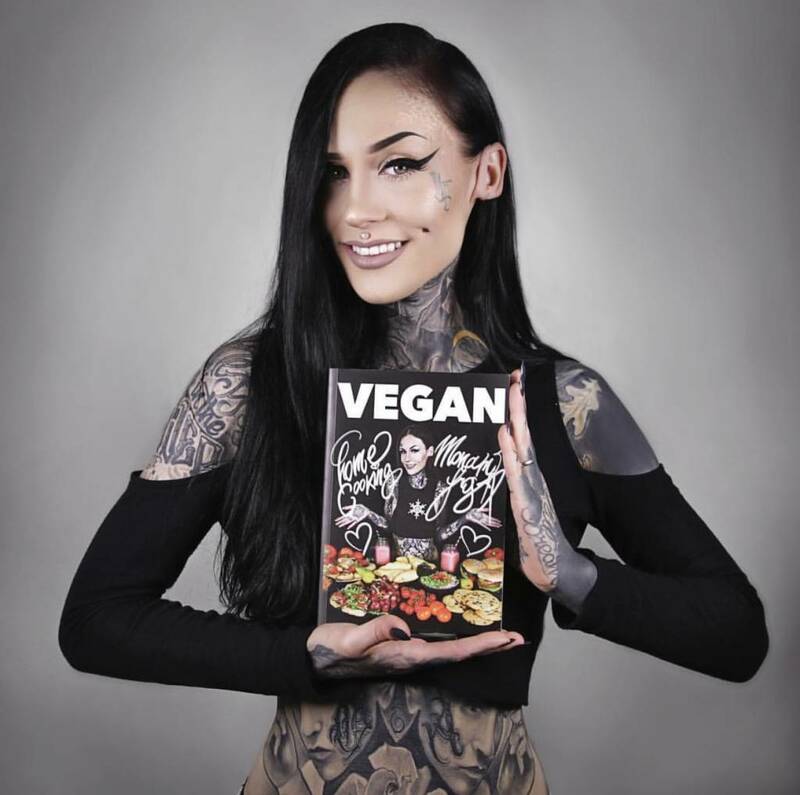 You can get to know Monami and her favorite recipes with her cookbook, Vegan Home Cooking With Monami Frost! This cookbook includes 100 easy and quick plant-based recipes (with photos!) that do not require any complex vegan substitutes. And you know what's even more awesome? 72 of these recipes are gluten-free! - The Team at Herbivore Clothing Co.